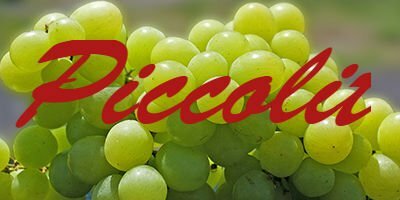 Piccolit is also known as Picolit or Piccolito which comes and grows in Italy. Talk about Italian white grape wines and Piccolit would be a must in the list. It is one of the most popular white wines made in Italy. Also, popularly known as Piccolito or Picolit, Piccolit white wine grape is allowed in DOCG (Denominazione di origine controllatae garantita) wines of the Colli Orientali del Friuli. This wine grape is grown majorly in northeast Italy’s Friuli Venezia Giulia region. This one of the most amazing sweet dessert wines which is made in Passito style. This white wine grape variety is very popular since the 18th century, but due to some reasons the number of plantings of Piccolit has dropped drastically. Nonetheless, the wine lovers have always loved this white wine and will continue to do so. A Hungarian grape variety known as Keknyelu is quite identical with this Italian white wine grape variety. After a series of test, it came out that Piccolit and Keknyelu are not related to each other in any way. Being a dessert wine, Piccolit is generally served after the dinner, but it can also be considered aperitif or Vino da Meditazione and can also be served alone. Today, the late- harvesting variety is more popular as compared to passito variety. It is also used as a blend up to around 15% with some limited wines. This wine is one of the most expensive white wines. The efforts in tracing the exact origin of Piccolit did not come with a positive result and the exact origin is still unclear. But in the 18th century, this wine was quite popular internationally. Count Fabio Asquini loved this wine. More than about 100,000 bottles of this wine were exported to the royal courts of Great Britain, Holy Roman Empire. Among Netherlands, France, Russia, Tuscany, Vatican and Saxony; the credit of sowing the love for Piccolit into people goes to Asquini. He took the legacy of growing Piccolit forward. He preached how to grow this white grape with limited resources. During the 20th century, the Perusini family tried to develop the clones that could be cultivated easily, but give the best yields with desirable features. During 1960s and 1970s the popularity of this white wine raised by leaps and bounds and the wine received the status of a cult wine. It would be wrong if we say that Perusini family is responsible for preventing it from extinction and taking this wine so far. Piccolit wine was grown in poor and very infertile vineyards. The vines gave little yields. The name of this white grape variety is derived from the fact that this white grape has a very little stalk which is known as Pecolet and Pecolut in Friulian language. Passito style as well as late harvest wines is made from this white grape. 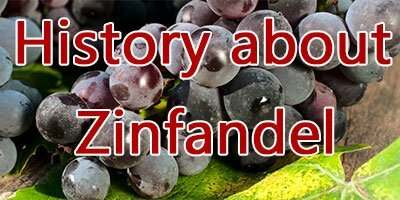 The grapes are harvested in the month of mid-October. The grapes are dried to raisins only on straw mats. They are then pressed. The late harvest wines are harvested weeks later. The wine is then left to ferment and then stored in oak barrels ad left to age. Piccolit is known by many synonyms including Balafan, Balafant, Blaustingl Weiss, Blaustengler, Kek Nyeliü, Peccoleto Bianco, Kel’ner, Keknyelü, Piccolet, Picolit, Piccoletta, Piccoliti Bianco, Piccolito Bianco, Piccolito, Piccolito del Friuli, Piccolitto, Piccolitt, Piccolitto Friulano, Piculit, Picoleto Bianco, Pikolit Weiss, Pikolit, Piros Keknyelü, Szabo Istvan, Ranful Weiss, Szod Bajor, Weisser Blaustingl, Wisellertraube Weiss, Uva del Friuli and Weisser Ranful. Piccolit has amazing characteristics. It has an amazing poise between acidity and sugar, which is not a common trait in wines. This also makes this wine the tag of a dessert wine. The best thing about this wine is the aroma of the wine. Piccolit carries a soft and subtle floral aroma. The aroma is quite pleasing and soft. On the tongue, this white wine presents a flavour of peach as well as apricot. Piccolit is a dessert wine and is served after the dining table is cleared. But, it can also be served with meals. Piccolit tastes best with some selected deserts like Mille – Feuille i.e. French custard slice and ice cream with caramel sauce. This wine also tastes very amazing with gorgonzola cheese.